This morning, Google posted an “Android Security State of the Union” report for 2014 that paints a picture of a situation that is far different from the one sensationalist media, security companies, and Apple would have you believe. According to Google, fewer than 1% of Android devices across the globe contained a Potentially Harmful App (PHA) during 2014. In other words, cases of malware showing up on Android devices are incredibly rare. The report is just over 44 pages, but is well worth a quick browse. It talks through improvements that have been made to help secure Android over the last year, the way Google rates the severity of malware, and what info of yours is accessed through their Verify Apps feature, before diving into the numbers. There are charts galore, some of which show you specifics such as the percentage of devices with a known PHA that download apps outside of Google Play. Over 1 billion devices are protected with Google Play which conducts 200 million security scans of devices per day. 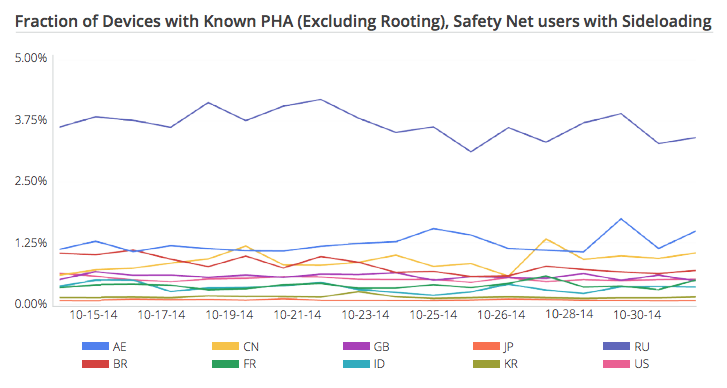 Fewer than 1% of Android devices had a Potentially Harmful App (PHA) installed in 2014. 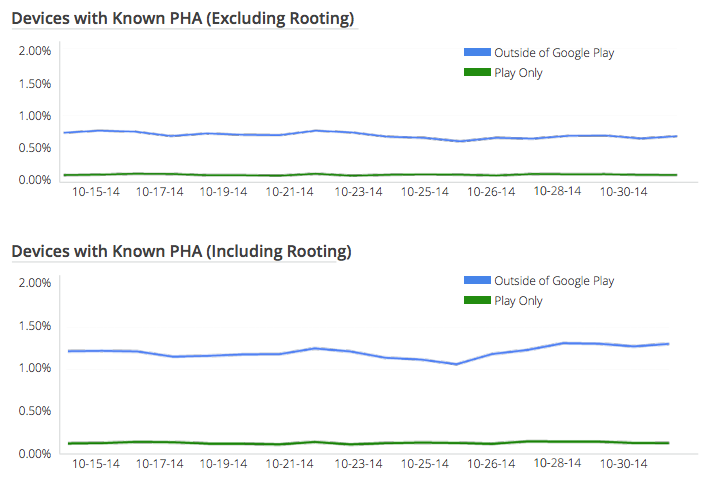 Fewer than 0.15% of devices that only install from Google Play had a PHA installed. The overall worldwide rate of Potentially Harmful Application (PHA) installs decreased by nearly 50% between Q1 and Q4 2014. SafetyNet checks over 400 million connections per day for potential SSL issues. Android and Android partners responded to 79 externally reported security issues, and over 25,000 applications in Google Play were updated following security notifications from Google Play. 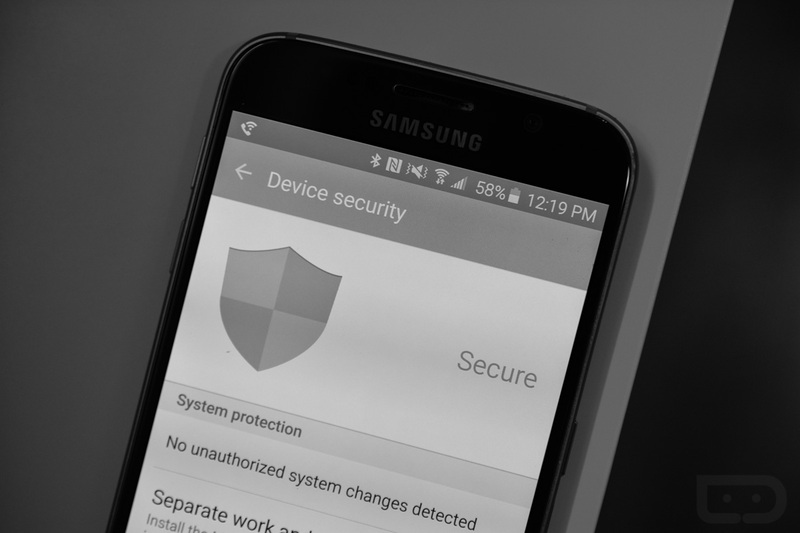 Shocker, your Android device is pretty damn secure.